No matter how useful and entertaining web can be, we can’t overlook the fact that it is equally devious and ensnaring. With the targeted advertising and dark web, it is nearly impossible to focus on privacy. Every time you visit a website, you can see advertisements to distract you from the main purpose of visiting the website. These ads are mainly of items that either you have already bought, or the items left in any shopping website cart. This distraction has caused many users to install ad blockers to stop tracking every activity. A survey by Janrain, identity management company, suggests that 71% of internet users use ad blockers to manage their online activities. Google makes tons of money through advertising, and to make sure nothing can change the fact, it has made new changes in how ads will be treated by ad blockers. Ad blockers are tools which can be added or installed as extensions to the web browser. Most of the extensions change content to make the pages legit or add extra features. These extensions put readers in the driver seat. Things are going to change after the change proposed to Google’s open-source browser Chromium, on which Chrome is based. As per the change, now the extensions will not be able to change the content on a website. Although the extensions will be able to block ads if the recommended changes are included in Chrome, developers would have to rewrite their extensions for Chrome. Several developers are demurring the plan as they believe these changes will not be good for users. As per the proposal, the extensions are going to be badly dependent on Google’s decision. Given the popularity and extensive list of features of Chrome, 62% of users prefer Google Chrome and with Microsoft making Chromium a foundation of MS Edge, the popularity has grown to another level. Hypothetically, these changes are said to enhance the performance and security of Chromium and Chrome. As of now, Chrome extensions can access your browsing history, and it could harm you if the adblocker spies you. Therefore, Google is suggesting limiting the reach of such extensions. Instead of that, the tech giant could provide an interface that offers guidance for browsers to modify ad content. WHAT EXTENSIONS DEVELOPERS HAS TO SAY? The limit of 30,000 rules is a concern for Developers along with the new interface. One of the big ad-blocking extension uBlock Origin developer, Raymond Hill, expressed his views on Chromium’s bug-tracking site, the changes are not favorable for its extension and it will limit developers to develop extensions with certain features such as stop a page from loading images larger than a specific size. Also, the changes would also “make it impossible to come up with new and novel filtering engine designs,” Hill wrote. Another concern by the adblocking firm, Ghostery that the ad blockers will not be able to stop specific kinds of privacy-intruding content, like web trackers. These are not the only concerns raised by developers of extensions. Some of the developers are also suspecting a hidden agenda of Google behind the changes. These changes will take the control from developers. Therefore, the users will have less control over their browsing experience. No doubt changes proposed demands extensions to change the way they function. Some extensions change the content of the website, a user is visiting. But this is not adblocking. Currently, some of such extensions use Chromium’s webRequest API to block network requests so that they can be redirected or modified. These are some of the pretty good reasons, however, handing an extension blanket permission to make changes in any such request is also a notable security hurdle. Another challenge is unwanted slow-downs in the browsing experience. As per the proposal, a change in API is need so that it can read, but not alter the requests. A new declarativeNetRequest API is also said to be added which put the browser in control of these requests. Extensions would be able to block requests but need to disclose prior, how it will be done. The change will improve privacy, security and performance. IS GOOGLE PROTECTING ITS OWN AD BUSINESS? Most of the developers have called Google’s move to protect its own ad business. In 2015, Apple made similar changes and the changes were promoted as an action in user’s interest. 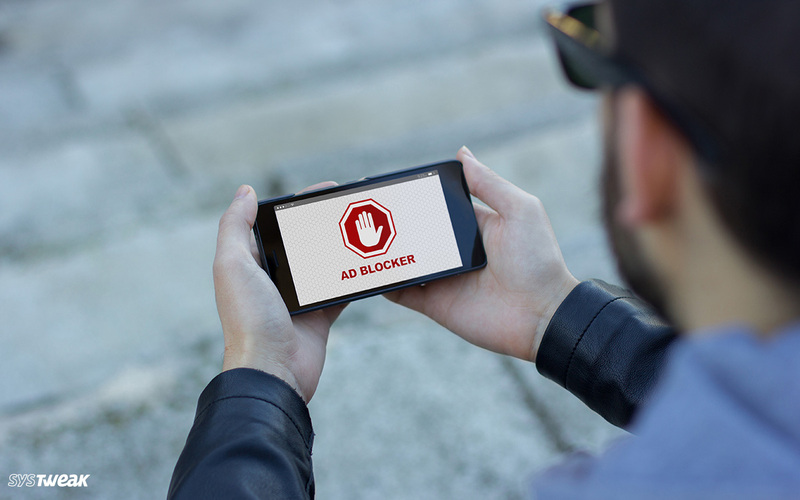 Acceptable ads include ads shown on Google search, giving Google a benefit of supporting this move that persuades ad blocker users to use such blocker extensions which allow ads. In reality, the blockers that handle every ad as something bad, will not be able to understand this proposal. “If this (quite limited) declarativeNetRequest API ends up being the only way content blockers can accomplish their duty, this essentially means that two content blockers I have maintained for years, uBlock Origin and uMatrix, can no longer exist,” said Raymond Hill, developer of uBlock. The changes will majorly affect the way an extension choose to block content on a website. The basic filtering by Adblock Plus should be available however the advanced controls provided by uBlock Origin and uMatrix, who don’t use ad whitelisting while scanning for ads, will have a lot to lose. IS THERE ANY TRUTH IN ALLEGATIONS ON ADBLOCK PLUS? Subsequently after the uproar by plugin developers, Google mentioned, these are not the set changes, there will be a lot of changes before implementation. On all the allegations put on AdBlock Plus, Google clarified that Adblock Plus would be hit more than other extensions available. The proposed API certainly seems to encourage simple filtering mechanism of ABP, instead of the advanced feature such as content blocking, which other extensions offer. The biggest obstacle is if the limit of 30,000 filter rules will be sufficient for the likes of ABP, as their filter list consists of 70,000 entries. “Adblock Plus is, of course, affected by this proposed change, because it would replace the main API that we (and almost all other content blockers) use to block requests with something a bit watered down,” a spokesperson said. SHOULD WE STOP USING GOOGLE CHROME ALTOGETHER? Well, Google is not entirely blocking extensions. It is putting some roadblocks in the way how third-party extensions work. The change will need developers to bring changes. Their main aim is to enhance performance and security. No doubt, it will make all the extensions developers to change and rewrite parts of their software. But the proposed changes are not finalized, and it seems Google is ready to add or modify elements in the proposal. However, if you want to switch your browser, there are pretty good options, such as Mozilla Firefox, U browser, Opera and more. Well, as per our opinion, users should not jump on to conclusions and wait for the proposal to get finalized. We will follow the story and will update the latest news related to the topic. What do you think? Is it a good move by Google or are the developers overreacting at the proposed change? Let us know in the comments below.